Zimbabwe requires $1,2 billion to finance new power projects and repair ageing infrastructure, a report by the African Development Bank (AfDB) has shown. Several of the country’s thermal power stations have passed their lifetime of 25 years, while poor maintenance has left them dilapidated, the bank noted. 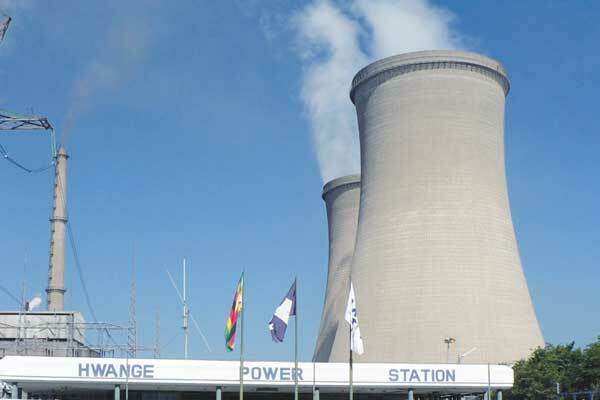 Zimbabwe’s power stations include Kariba South Hydro-Power Station, Hwange Thermal Power Station, Harare Thermal Power Station, Munyati Thermal Station and Bulawayo Thermal Power Station. “The five power stations have reached and surpassed their design life of 25 years. Additionally, infrequent and inadequate maintenance on the units affects the stations’ ability to generate electricity at their capacities, ”AfDB has said. According to the continental bank’s 2018 Infrastructure Report on Zimbabwe, the key elements of the funding arrangements include $42 million for distribution projects; $442 million for transmission projects; and $629 million for new projects, Batoka Hydro and Hwange expansion. Electricity supplied by Zesa is generated through one hydroelectric station and four thermal power stations with a combined installed capacity of 2,295 megawatts. But the operations have become unsustainable because of non-cost reflective tariffs, collection inefficiencies, lack of investor confidence and perceived risk. “The loss of experienced staff in the last decade also contributed to the sub-standard performance of the electricity supply industry. The unsustainable performance of the sub-sector is reflected in the low investment in infrastructure and sub-standard and poor delivery of service. A substantially improved performance of the power sector is of fundamental importance for sustained economic recovery in Zimbabwe,” the report noted. Early implementation of measures to improve the commercial performance of the power utilities would ensure their success, while a key challenge for the Zimbabwe Electricity Transmission and Distribution Company (ZETDC) in the short term would be to substantially improve its commercial performance. Latest information shows that as at March 2016, the ZETDC-owned Zimbabwe Power Company was owed $668 million while as of June 2018, ZETDC was owed over $1 billion by its customers. Local authorities and domestic households owe more than 50% of the debt. “This is affecting ZPC’s operations and liquidity position with the company struggling to settle its obligations and debts owed to its suppliers. Early action to improve the recovery of the receivables would allow ZPC to generate sufficient funds to undertake regular maintenance on the generating plants and, hence, improve reliability of supply and enable gradual clearance of liabilities,” AfDB said. It called for training programmes to increase Zesa’s ability to undertake a number of analytical and technical studies. “These studies will provide guidance on the strategies to be followed in the development of the sector and the generation of bankable project documents. The main components of the programme are as follows: need assessment for immediate rehabilitation of generation, transmission and distribution networks, preparation of strategic framework and development programme for the power sector for the short to medium term, feasibility studies for generation and transmission projects; feasibility studies for expansion of the rural electrification programme, including increased use of solar power and other renewable energy sources; and institutional and tariff studies,” the AfDB said.